On Valentine’s day this year, an aged stallion, named by staff as Valentino, was found tied to a tree on a village green. 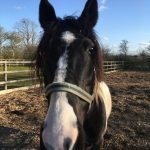 He had been without food and water for at least 24 hours and was reported by a concerned member of the public to the Bransby Horses External Welfare Team, who went to investigate. 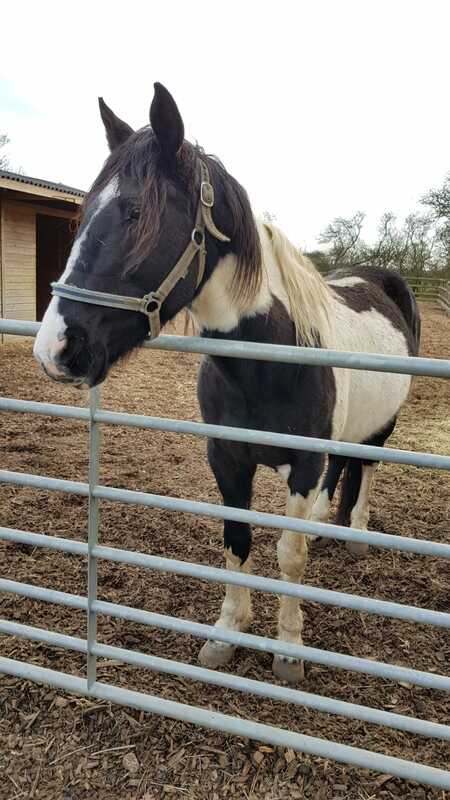 The RSPCA and local Police had made attempts to locate his owner but were not successful, so the only option available was to bring him to the Bransby Horses’ Animal Reception Centre where he could be cared for. When the team arrived to collect Valentino, he was understandably unsettled from his ordeal on the village green. However, it wasn’t long before he was showing his affectionate and trusting personality by co-operating with the team and travelling safely back to the charity where he would be assessed. When he was examined by the veterinary team, he had a healthy body condition score of 3/5, although it was clear Valentino had received minimal attention from the farrier or dentist for a long time and had scars over his body. During his time in the charity’s care, he has had all treatments necessary to improve his welfare, including being castrated. He has recovered well from his operation but will remain in the Animal Reception Centre for the remainder of his quarantine period whilst undergoing biosecurity screening. It is assumed by his affectionate and friendly personality he has previously been handled and has become a firm favorite for this reason with staff at the Animal Reception Centre. It is unclear whether, as a stallion, he has ever lived with other horses, so the team will now review the most appropriate way to introduce Valentino to living in a herd.